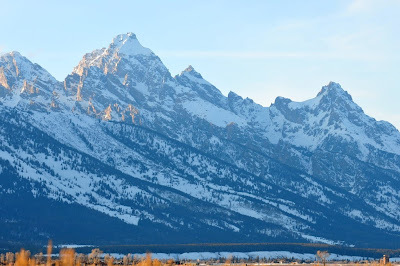 Sitting right beyond the boundaries of Jackson Hole Mountain Resort is Grand Teton National Park, known for it's wildlife, rock climbing, rugged mountains, etc. I particularly liked its uber-modern visitor center, which had great views, architecture, and displays. Skiing from the top seemed to be a bit much for me that day, so I cruised nordic style to Bradley Lake.